Peter Gelfan has been editing and ghostwriting both fiction and nonfiction for over 20 years. His clients range from beginners to published and bestselling authors and celebrities. He also edits screenplays and has sold two he wrote under his own name, one of which was produced and recently released in France. His novel Found Objects was published in May 2013. 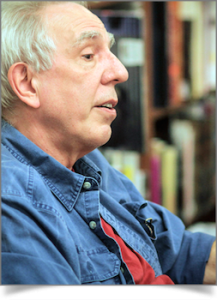 While experienced in almost every genre, from crime through mainstream to literary, he specializes in analyzing and strengthening underlying structure—plot, character, and scenes in fiction, and organization and argument in nonfiction. Peter has published a feature-length article on fiction craft in Writer’s Digest, and he’s also the author of The Editorial Department’s e-book on novel structure. He has conducted numerous seminars and workshops at writers’ conferences and tutored a great many writers through numerous drafts.